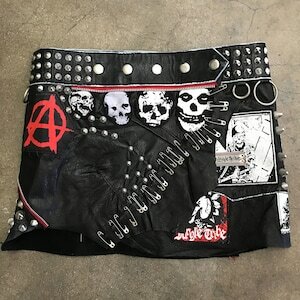 Incredibly indulgent meets punk as f*ck. 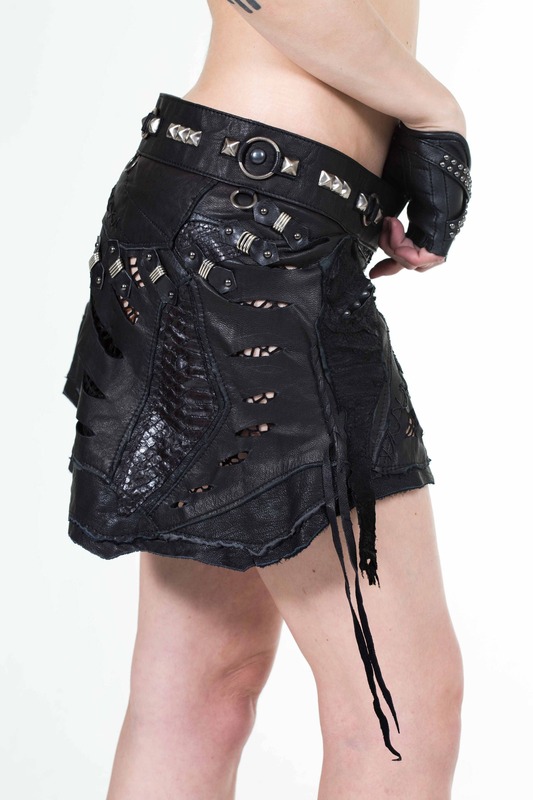 Genuine black leather, suede and snakeskin come together magically with road worn silver pyramid studs, o-rings and d-rings in this distressed hem skirt, including inner suede fishnet lining. this is a handmade , small batch item. Waist is adjustable via 5 snaps, you can choose how high or low to wear this on your person. Please let us know what size you need when you order. We currently do have limited stock for immediate shipment.